FREE logo decorations by JoomlArt artists. Scary discount for you ONLY ON 31st October at http://joomlart.com. 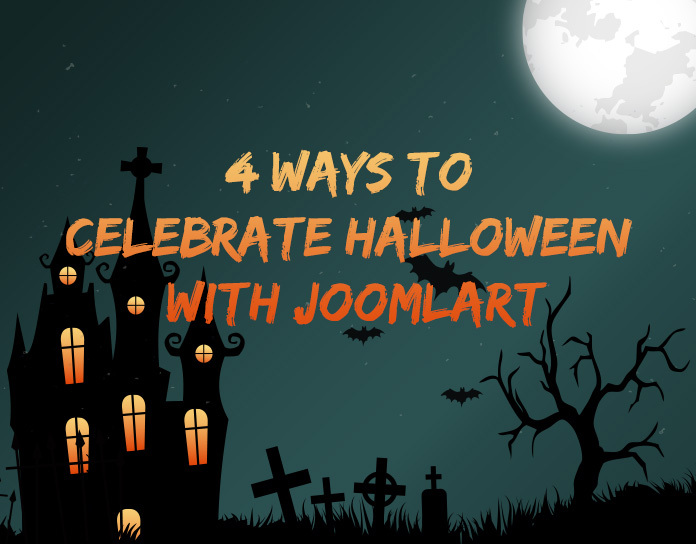 Best Joomla Halloween coupons roundup at JoomlArt. Just submit your logo, and let our graphic wizards do the magic touch. Your logo will look spookier than ever. Guaranteed. JoomlArt has created a special free Halloween module for your Joomla website. It helps to surprise website visitors with a flying pumpkin. And we call it JA Pumpkin Module! Enjoy our scary 20% OFF discount with coupon code JASCARY14. This code implies to all JoomlArt products Joomla templates and extensions. To help you hunt down the best Joomla deals during this Halloween, we'll be collecting ALL available deals, coupon codes on EVERYTHING Joomla related around the Internet; and packing them all into this one infographic. So go nowhere else, stay here with us and enjoy all the Joomla deals now! That's all our treats for you this Halloween. Do you have any scarier things to tell us? Love to hear them in the comments!